According to sources, the elections were postponed as more time was needed for scrutiny of the candidates. The candidates' legal requirements for running in the senate elections will be scrutinised according to Articles 62 and 63 of the Constitution which state the necessary qualifications for induction in the Parliament. While the PTI is likely to get representation in the upper house for the first time and bag four to five seats from Khyber Pukhtunkhwa (KP), Jamaat-i-Islami will get representation after a gap of around six years. 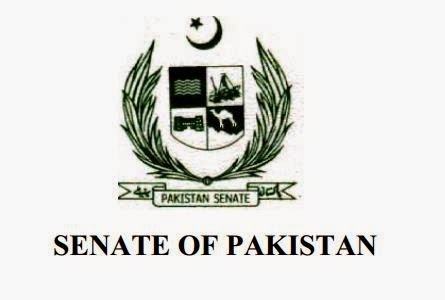 The 52 senators retiring on March 11 include 21 of Pakistan People’s Party (PPP) — Jahangir Badar, Kazim Khan and Sughra Imam from Punjab; Rehman Malik, Farooq Naek, Salim Mandviwala, Islamuddin Sheikh, Maula Bux Chandio, Abdul Qayyum Soomro, Gul Muhammad Lot and Almas Perveen from Sindh; Gulzar Ahmed Khan, Waqar Ahmed Khan, Sardar Ali Khan, Adnan Khan and Farhat Abbas from KP; Sabir Baloch, Mir Yousuf Badini and Surriya Amiruddin from Balochistan and Nayyar Bokhari and Dr Saeeda Iqbal from Islamabad. Prominent among the retiring senators from other parties are: PML-Q chief Chaudhry Shujaat Hussain, Leader of the House Raja Zafarul Haq, Chaudhry Jaffar Iqbal, Mushahidullah Khan, Pervez Rashid, Syed Zafar Ali Shah, Prof Sajid Mir, Najma Hameed and Sardar Yaqoob Nasir (PML-N); Babar Ghouri and Abdul Haseeb Khan (MQM); Afrasiab Khattak, Abdul Nabi Bangash, Haji Adeel and Zahid Khan (ANP); Maulana Abdul Ghafoor Haideri and Haji Ghulam Ali (JUI-F), Hasil Bizenjo (NP); Kulsoom Parveen (BNP-A) and Humayun Mandokhel and Abbas Khan Afridi. The ECP on Thursday also rejected Pakistan Tehreek-i-Insaf (PTI) Chairman Imran Khan's request seeking disqualification of National Assembly speaker Sardar Ayaz Sadiq, saying that this decision will be taken by the election tribunal. On Monday, Imran Khan, in a meeting with Chief Election Commissioner (CEC) retired Justice Sardar Mohammad Raza Khan, demanded that Sadiq be suspended till investigation into the alleged rigging in the NA-122 constituency is complete. Imran Khan had alleged that the commission had not followed its terms of reference and that it had committed breach of trust by giving statements to media. The PTI chief had sought re-inspection of the records of certain polling stations in the constituency. Retired sessions judge Ghulam Hussain Awan was appointed by the tribunal to inspect the record. The result of the election remained unchanged after the process. After an audit of a number of polling stations in NA-122 constituency, both the ruling PML-N and the PTI have been making contradictory claims.